Jason William Hewett, age 34, of Florence, passed away Tuesday, November 6, 2018. Visitation will be Saturday, November 10th from 11:00 am until 2:00 pm at CrossPoint Church of Christ. The service will follow at 2:00 pm at the church with Brother Bobby Crosswhite and Brother Greg Daniel officiating. Burial will be at Greenview Memorial Gardens. Jason was born July 21, 1984 in Florence, Alabama where he lived and grew up. He was a graduate of Brooks High School where he lettered in both football and track and field, ultimately serving as team captain. During his junior year he led the team to an amazing 11-0 record. After graduating high school in 2002 he attended the University of North Alabama to pursue Criminal Justice, during this time he met the love of his life Kelli Pitts. They married in 2006 prior to his acceptance into the Alabama State Trooper Academy where he graduated with the coveted Firearms Award (and the Driving Award according to him). With his wife Kelli and son Branton, the Hewett family became assigned to the Lauderdale County – Quad Cities Post. Starting his career, Jason was recognized for his expertise in keeping the roads safe by processing the most Driving Under the Influence cases in the state of Alabama for 2007-2008. His hard-charging capabilities led to his selection to train with Sheriff Joe Arpaio in Phoenix, Arizona and he became the first Drug Recognition Expert for the state of Alabama. Furthermore, Jason was the Physical Training specialist responsible for the physical testing and evaluation for all Quad City Post troopers. He was also appointed as the Field Training Officer, ensuring all new personnel were trained to the highest standards to work with the elite Quad City Post troopers. He garnered the respect of the entire judiciary system through his impeccable professionalism and top-notch leadership. In 2010 Jason and Kelli had their first daughter, Ella Kate followed by twin girls in 2013, Addie Jae and Evie Kole. Although dedicated to his career, Jason was the ultimate family man. His family was number one and nothing could stop him from showing up for his children. He was there for every dance, every game and every school function. His love for his family was unconditional and anyone who spoke to him knew where his priorities lay. He never met a stranger and could get along with anyone he encountered. He had the ability to lighten the mood in any situation and could make anyone laugh. His love for running kept him in shape and involved in many local activities, especially the annual Special Olympics Torch Run. His other hobbies included following Toronto Maple Leafs, Alabama football, and anything 80’s. Jason was a beloved son to Rose DiMauro Hewett and brother to Kim Patterson and James Hewett. He will be remembered by all his family and friends for his optimistic approach to life and welcoming smile. He was preceded in death by his father, James P. Hewett, Sr.; maternal grandparents, Rose and Joe Dimauro; paternal grandparents, Dwight and Annie Hewett; aunt, JoAnn Urso; uncle, Johnny Urso. Survivors are his loving wife, Kelli Pitts Hewett; children, Branton Hewett, Ella Kate Hewett, Addie Jae and Evie Kole Hewett; mother, Rose D. Hewett; sister, Kim Patterson (Dennis); brother, James P. Hewett, Jr. (Sara); father and mother-in-law, Joe and Callie Pitts; sisters-in-law, Jennifer Pitts and Beth Wright (David); nieces, Sophie and Chloe Patterson, Callie Beth Wright; and nephew, J.D. Wright. Pallbearers are Reserve Trooper, Pat Fuller, Trooper Scott Gifford, Trooper, Joe McDonald, Trooper Scott Puckett, Trooper Scott Michael Vernon, and CPL. Bill Burke. Honorary Pallbearers are the Judiciary Staff and Attorneys at the Lauderdale County Court House, the Lauderdale County Sheriff’s Department and Florence Police Department. A special thanks to our loving community for your support and prayers. Lauderdale County, the State of Alabama, and the law enforcement community has truly lost one of the best. Our prayers are with the family. Rest in Peace brother, you will truly be missed. Words cannot express how sorry I am for the loss you are all experiencing. My deepest heartfelt condolences go out to you all. Hewett will be missed not only by his close friends and relatives, but also by everyone in the community who ever had the opportunity to know him. My continued prayers and thoughts will be with you all at this difficult time. We extend our deepest sympathies to you and your family. 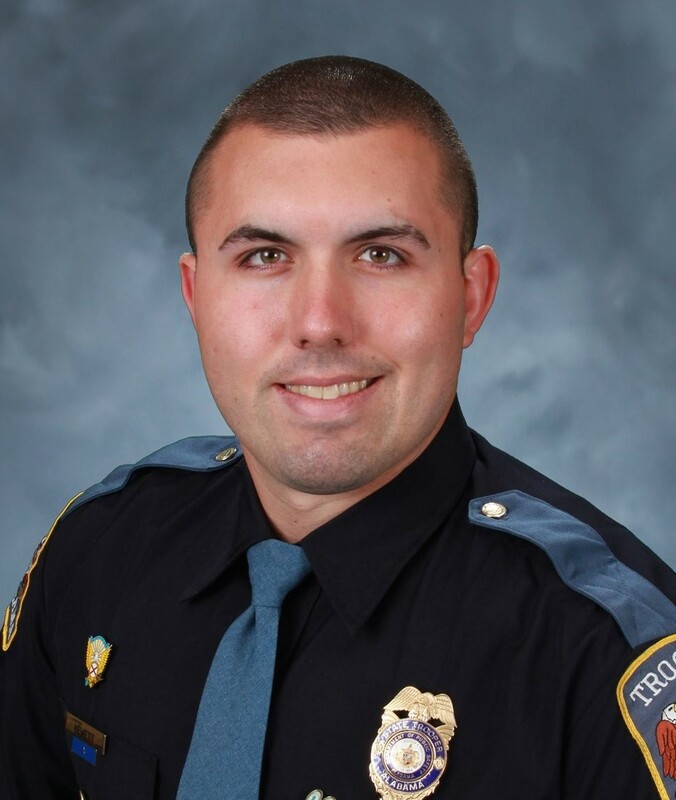 May the soul of Trooper Hewett be at peace with our Heavenly Father. We pray that the love of God enfolds you during your difficult times and that he helps you heal with the passage of time. Send our deepest condolences to you as you mourn the loss of your loved one. May our loving Lord comfort and console you. May you cherish the memories and the love he left in your heart. We share in your grief and send our love. We were shocked and saddened to hear the news about Jason. Although we are separated by distance, know that your family in Canada is thinking of you and praying for you in this difficult time. We hope your good memories of Jason will bring you some comfort. We are so sorry for your loss. We pray that God will give you and your family peace and comfort during this difficult time. We are the ones from Tennessee that met Brantley through Devan Hale. Sending prayers! Rosie I am so sorry for your loss all I can say is that I’m thinking of you and Jason’s family and your in my prayers at this difficult time Michael also sends his thoughts and prayers take care and may god be with you. Rose, Kelli, and your families, I think of your and pray for you each day. Words cannot express the sympathy I feel for you all. Jason was a wonderful person and will be greatly missed by many. Hugs and prayers to all of you. Sending Love, Support, and Prayers to the Hewett family, relatives,friends, and co workers. Our deepest condolences go out to you and your family. We will continue to keep you in our thoughts and prayers. Kelli and Family, I have seen Jason out running but we were not privileged to know him. Repeatedly we have heard how wonderful a man he was and what a precious family you each are—part of the solution instead of part of the problem. Please know that you all are being lifted with love before our Father and will be in days to come. I read the wonderful expression of your feelings for your precious Jason.